I finally could try Diablo Sauce today when we went to Taco Bell. Diablo was launched on Cinco de Mayo (May 5th) this year, and it's made with aji panca (Peruvian red pepper), chipotle, chili and other peppers. 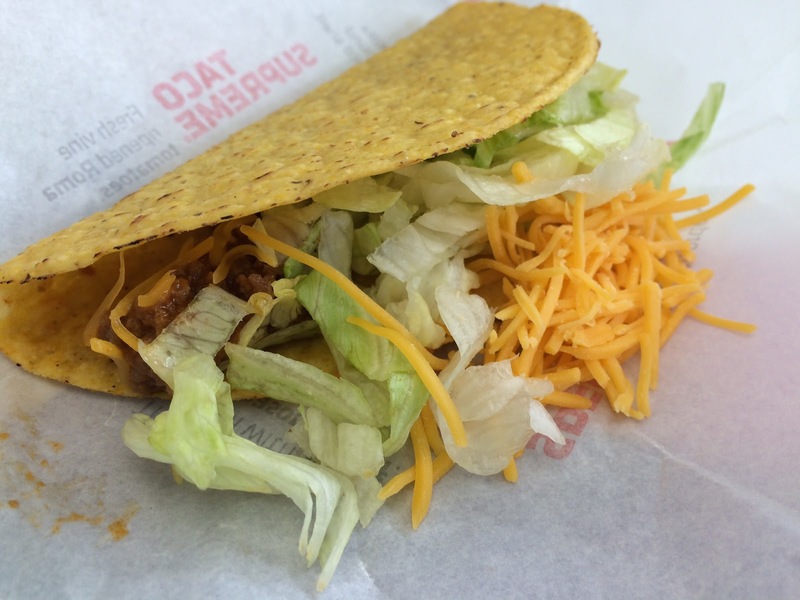 It's not my first priority but as the item I wanted wasn't available at the branch we went, so we just got a crunchy taco to try the Diablo. There're several messages in the white box, but I only got these 2 pouches which were enough for me. 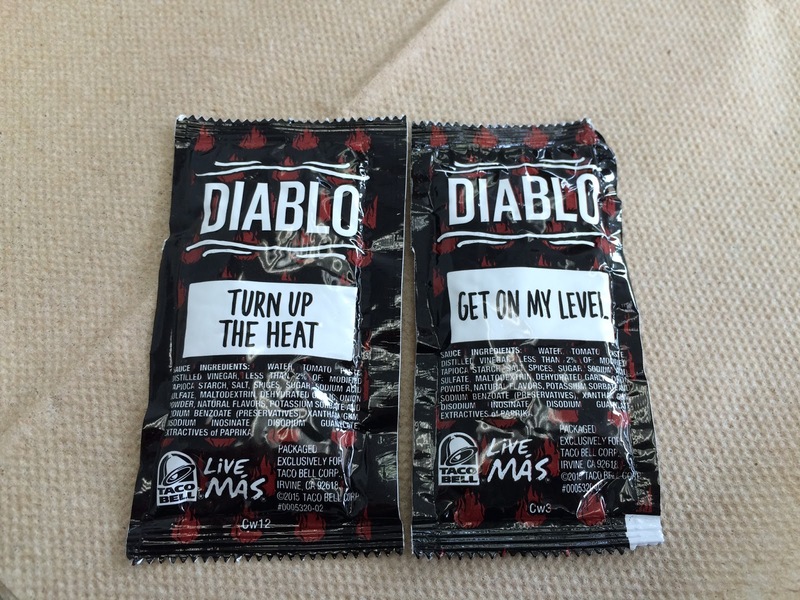 "Turn up the heat" and "Get on my level." 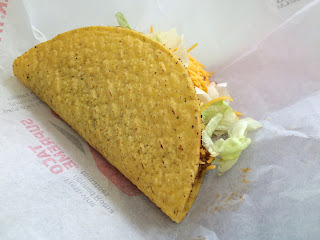 Crunchy taco --- it's been a while since last time I had this at Taco Bell. 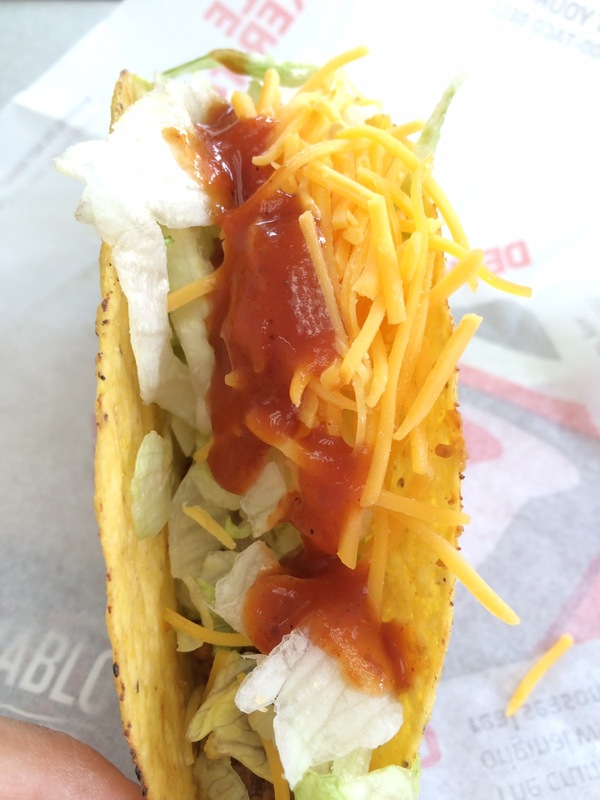 It's taco meat, which is a 100% ground beef according to Taco Bell. I squeezed 2 pouches over the toppings, which were lettuce and cheese, and it had some heat but it didn't hurt my tongue or lips. 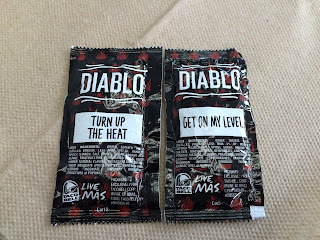 Currently, there're Mild, Hot and Fire, and this Diablo was spicier than those, and the major difference was that Diablo didn't have sour flavor similar to Tabasco in comparison to the others.